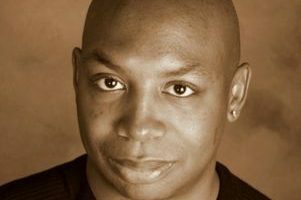 Darnell Hunt, a renowned scholar of race, media and culture, chair of sociology and longtime leader of the Ralph J. Bunche Center for African American Studies at UCLA, has been selected as the new dean of social sciences in the UCLA College, effective July 1. UCLA College faculty members Judith Carney and Stephanie Jamison have been selected as members of the 237th class of American Academy of Arts and Sciences fellows. John Agnew, UCLA distinguished professor of geography, has spent his scholarly career examining the politics of place. He teaches courses in political geography and globalization, as well as sections in the department of Italian. After years of being largely shut out of the Academy Award nominations — a trend that prompted the #OscarsSoWhite social media campaign in 2016 — actors, writers, directors and even a cinematographer of color are among the nominees for the 2017 Oscars, which will be held Feb. 26. 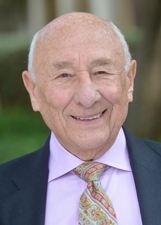 Thanks to a $5 million gift from longtime supporter Meyer Luskin, UCLA will establish the Luskin Center for History and Policy, the first academic research center on the West Coast devoted to using history to publish knowledge that promotes solutions to present-day issues. The new center will foster teaching, research and collaborations across campus and beyond the university that will direct historical insights to shaping policies and solving problems. The Luskin Center for History and Policy will be a pioneer in translating historical research into tangible and accessible sources of knowledge. The center will support policy-oriented projects developed by UCLA history faculty and their colleagues across campus, host visiting scholars and postdoctoral fellows and provide funding for graduate students. It will also sponsor new courses that will train students to analyze historical events and apply their knowledge to current issues. The history department can already cite at least one recent example of the influence of historical research on public action. In 2015, Zev Yaroslavsky, a former Los Angeles County supervisor and now a senior fellow in history at UCLA, led a project examining the city’s bidding process for the 1984 Olympics. The resulting position paper was distilled into an op-ed published in the Los Angeles Times and contributed to the decision by the Los Angeles City Council to delay a vote on the Olympic bid until all its provisions could be properly debated. Stephen Aron, the Robert N. Burr Department Chair of the history department, said the center would be a hub for collaborative projects engaging researchers from the social sciences and the humanities as well as campus units including the UCLA Fielding School of Public Health and the UCLA Luskin School of Public Affairs. Initially, the center will be under the direction of history professor and former department chair David Myers, working closely with Aron. Myers said the center would help develop new forms of teaching to equip students with the historical tools to make sense of the world around them and thrive in any number of careers. Luskin, who graduated in 1949, and his wife, Renee, who graduated in 1953, are among UCLA’s most generous supporters. In 2011, they donated $100 million — the second-largest gift ever to the campus — to support academic programs and capital improvements. The gift was equally divided between the UCLA School of Public Affairs, which was renamed in their honor, and the UCLA Meyer and Renee Luskin Conference Center, which opened in 2016. Luskin co-chairs the UCLA Centennial Campaign Cabinet, serves on the campaign executive committee, and is a member of the UCLA Foundation board of directors. People often ask me “who these people are” — those who elected Donald J. Trump or those who voted for Hillary Clinton. They’ll ask, “What’s the single best description of Trump supporters?” My answer often disappoints them. In response to the question series “What can evolution tell us about morality?” professor of anthropology Daniel M.T. Fessler reflects on how natural selection allows the flexibility to adapt to the moral system we are born into. If Mr. Trump expected Barack Obama, who will be the first president since Woodrow Wilson to continue living in Washington, to retire to silence, he got a rude awakening on Wednesday.